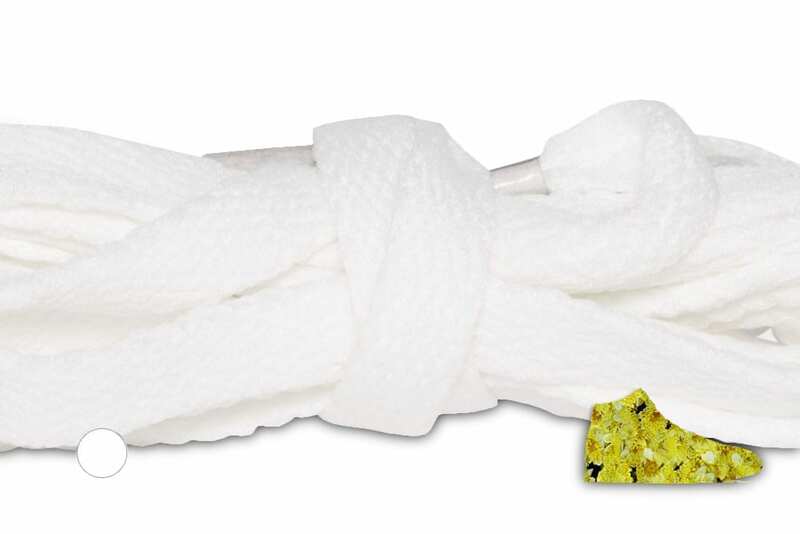 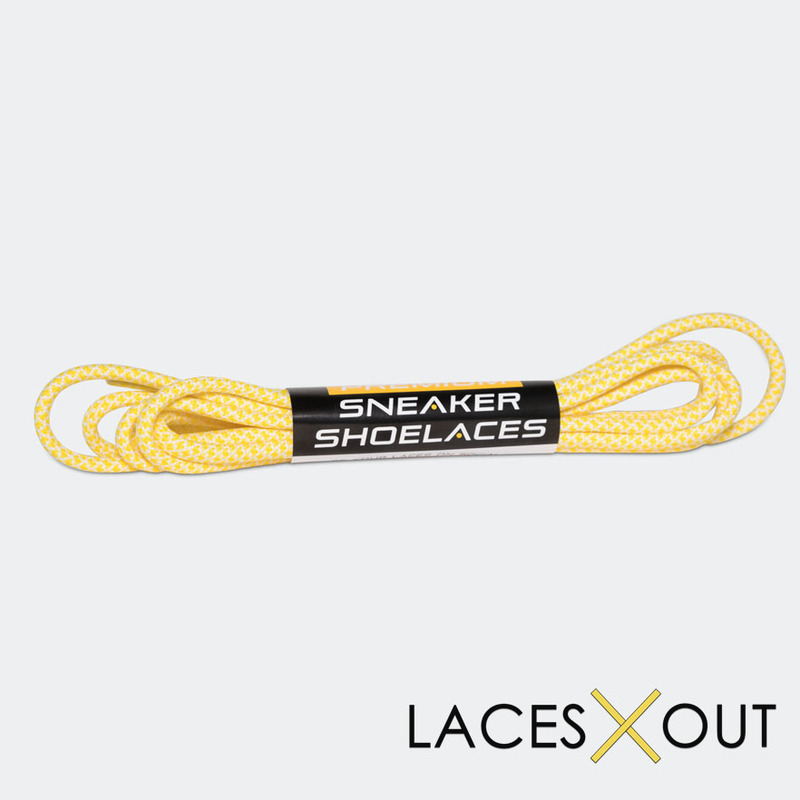 Light Yellow "Rope" Laces - Woven Pattern Shoelaces - 50"
High quality & durable – our laces don’t break! 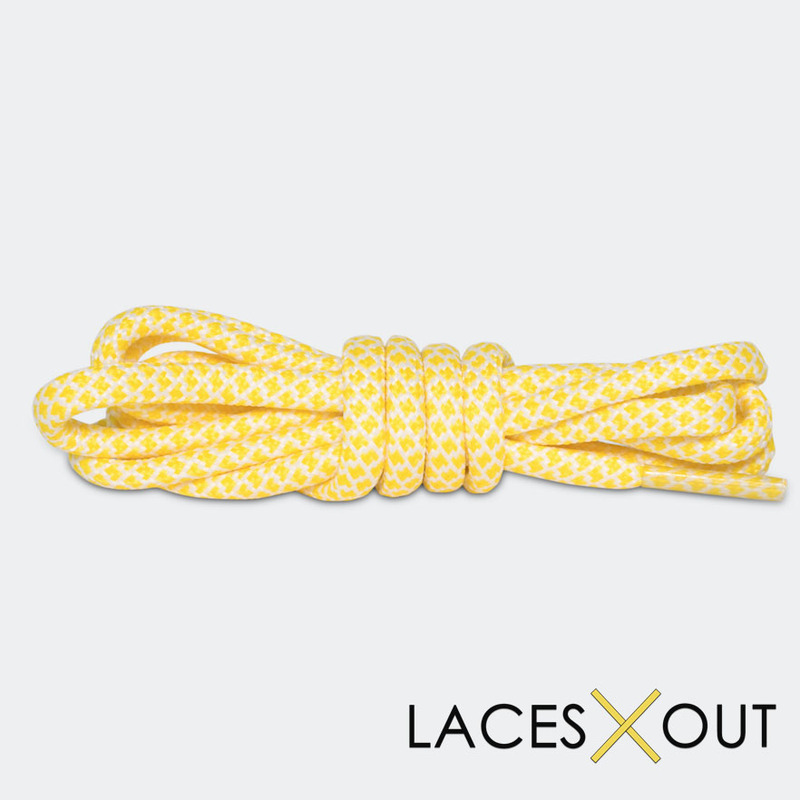 Our yellow “rope” shoelaces are a great way to add a pop of color to your favorite pair of sneakers. 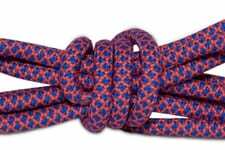 These laces come in 1 size, 50″, which is a perfect fit for your low and mid top sneakers with 5, 6 or 7 eyelets. 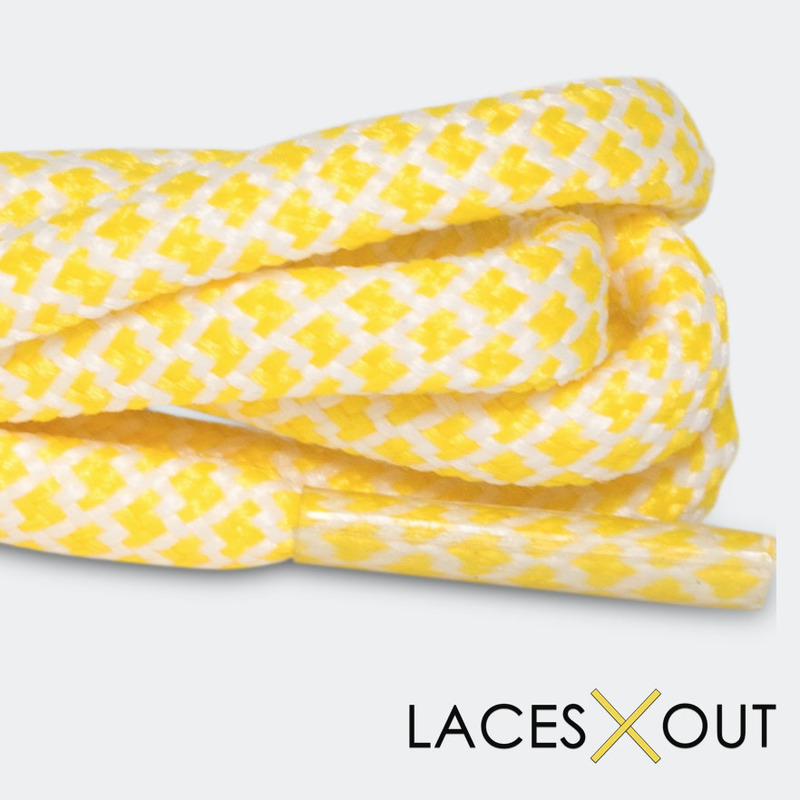 The laces colors are light yellow with pops of white circles, giving it the same feel as a tree boa (seriously, Google it). 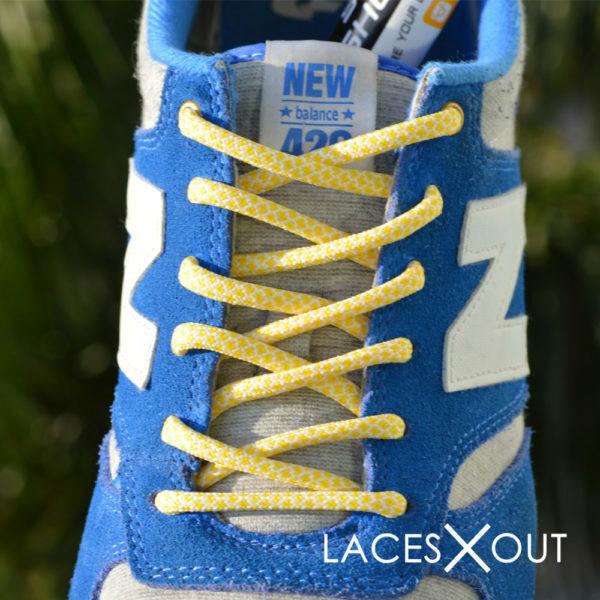 You can wear these laces with a wide range of sneakers and make for one our favorite sneaker lace swap combos. 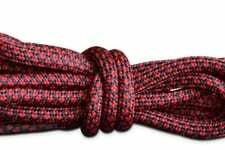 Take a closer look at the laces on our HD video (make sure to check out our YouTube channel as well for lacing guides and tips). 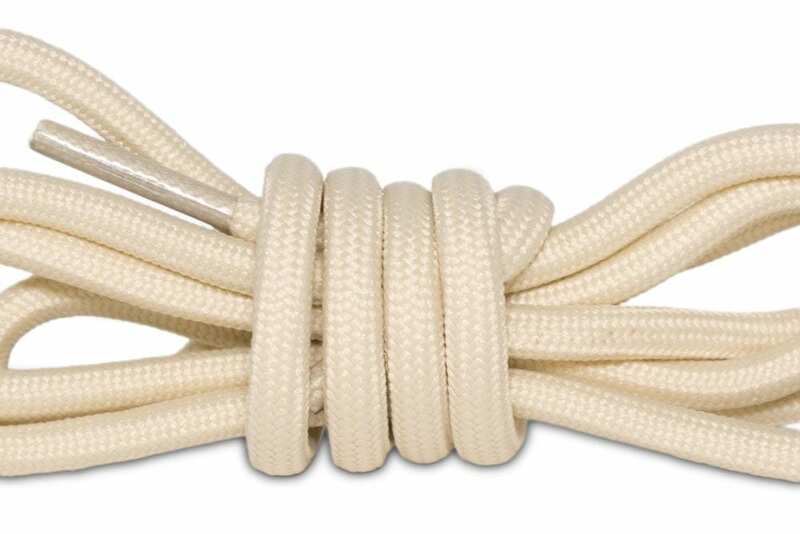 We’re proud of the quality of our shoelaces and that’s why we go through so much trouble to create visually appealing content. 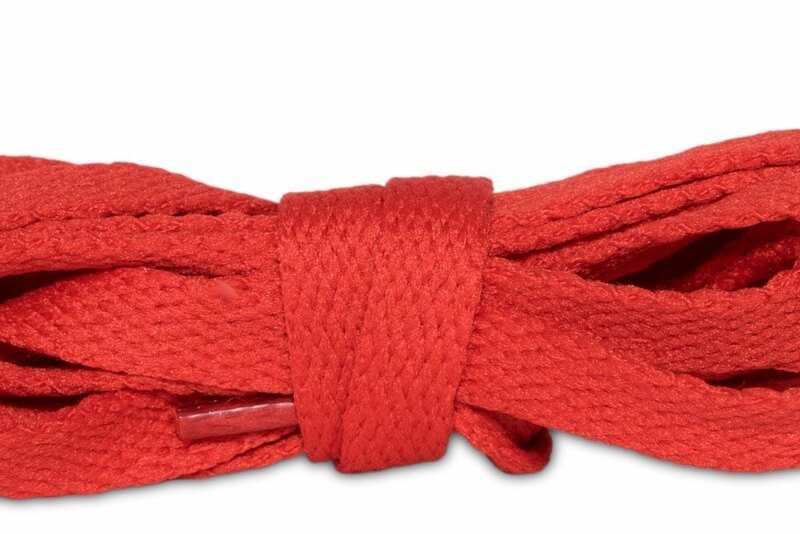 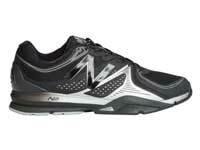 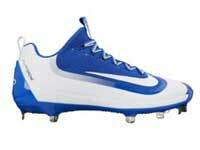 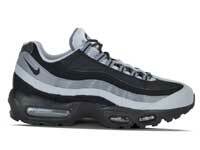 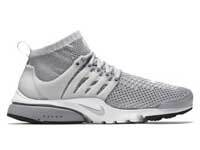 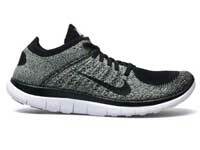 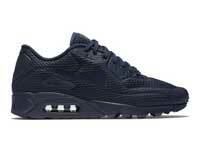 When you look at our competitor’s granulated images, it’s tough to tell what the laces will really look at feel like. 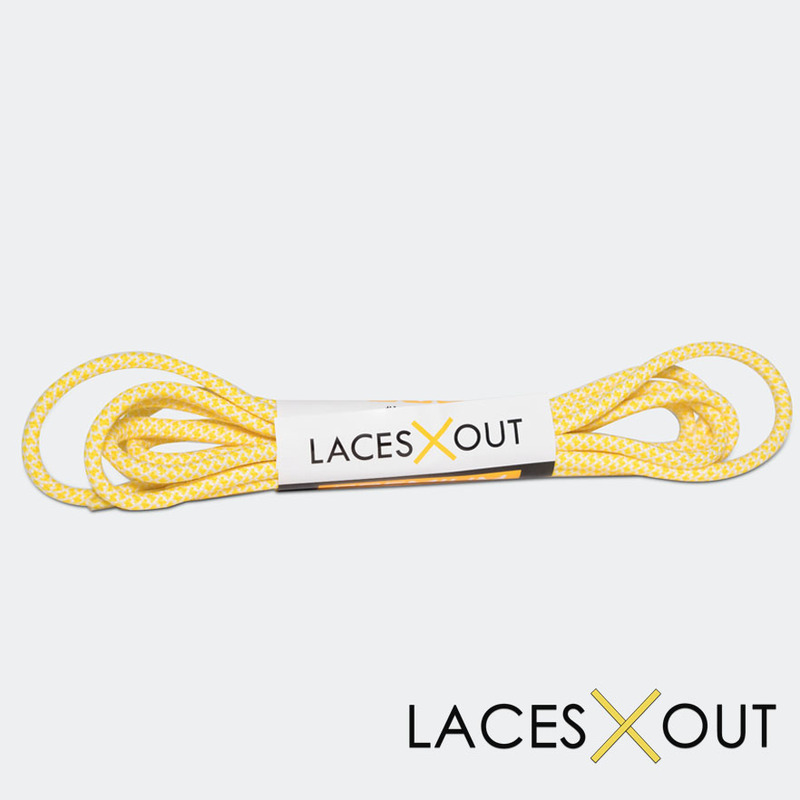 These yellow “boa” laces are woven tight, crisp and with the upmost care and quality. 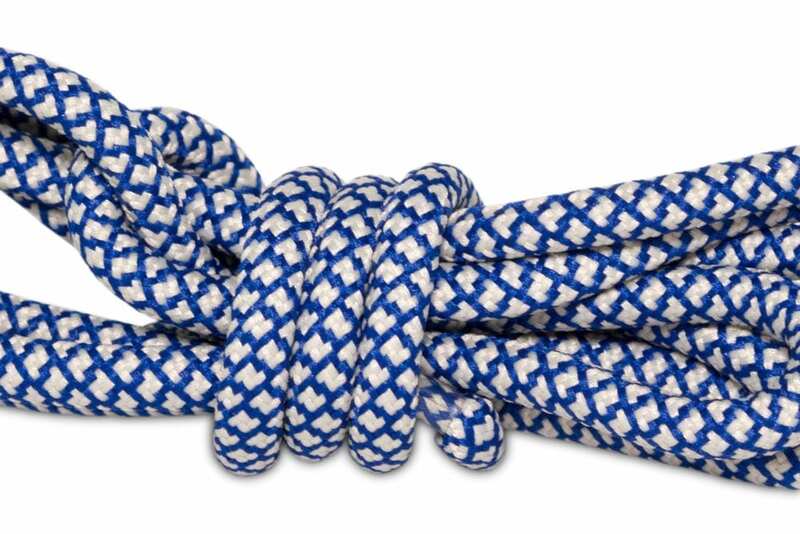 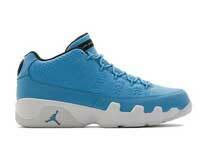 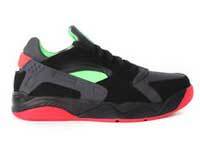 This colorway is exclusive to Laces Out (unless someone is reselling our product).